They’re on the way north! To celebrate we’ve got a special offer for all our Island, Redland Bay and Brisbane friends. 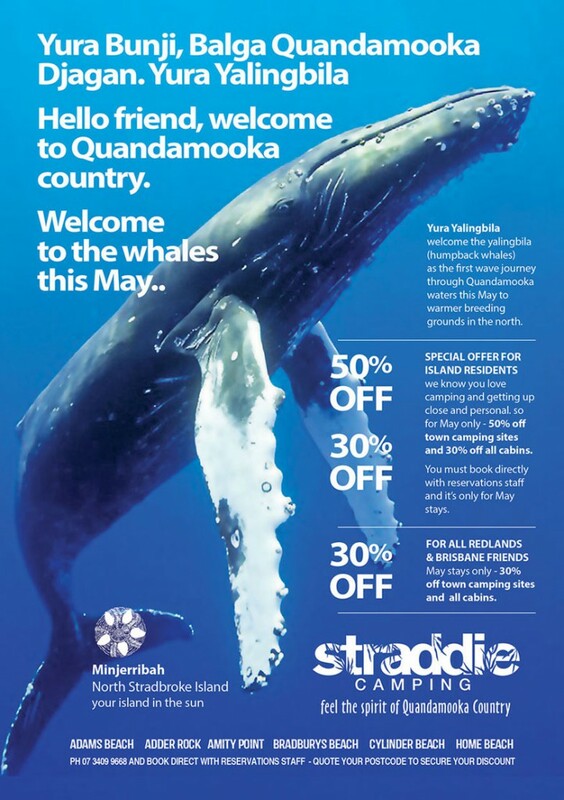 Special discounts just for May Stays to Welcome the Whales. Bookings through our reservations staff only on (07)34099668. Yura Bunji.